The General Services Administration plans to incorporate a new special item number for automated contact center platforms and services into the Information Technology Schedule 70 contract vehicle by the start of the government's fiscal year 2019, Nextgov reported Monday. The report said GSA will introduce SIN 132-20 in an effort to help federal customers explore and procure commercial automation technology platforms such as voice and speech recognition, text-to-speech, artificial intelligence and chatbots. According to the agency, the new subcategory is intended to replace the USA Contact indefinite-delivery/indefinite-quantity contract. 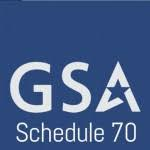 GSA's IT Schedule 70 program uses ordering procedures designed to accelerate the procurement lead time by up to 50 percent compared with that of the open market. The new SIN is scheduled for an Oct. 1 rollout and the agency plans to hold a webinar on Friday to discuss the topic.